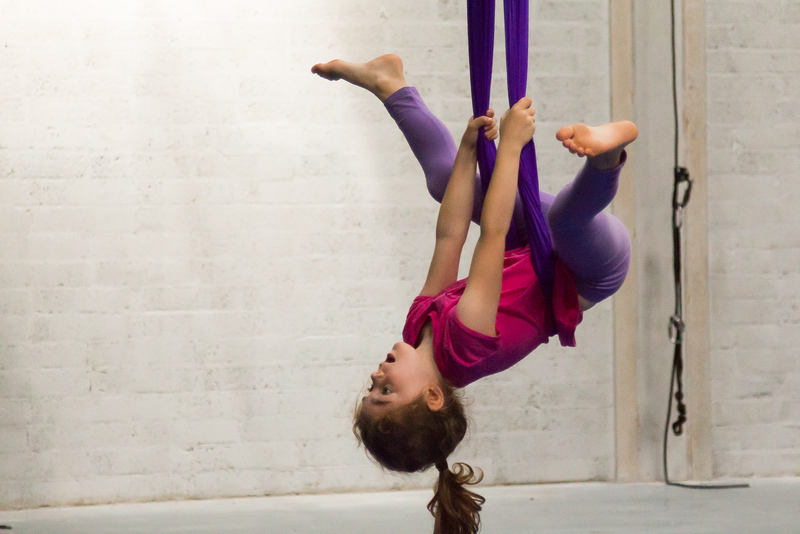 Aerial Easter Camp is a fun-filled week of learning new ways of flying for 4-17 year olds. Easter Camp is great for kids with no flying experience as well as kids with lots of flying experience as we will teach to suit everyone’s level. It takes places from Monday 22nd to Friday 26th April 2019. Book Now! The children will also be invited to view a show that the IACC youth performance group will have on the Saturday 27th. Vayu Aerial Yoga, is a practice that has been developed to create space mentally and physically, by opening up the body through various postures using our custom designed yoga swing. Using the support of the swing to move through various postures we are able to challenge and create space within the body whilst allowing the nervous system to relax, encouraging a letting go into complete surrender. Inverting the body while suspended in the air not only provides many physical benefits such as spinal decompression, it also expands the mind by creating confidence, overcoming fear and allowing new found freedom and bringing a playful light energy to our hearts. Check under ‘special events’ on the booking page to see when classes are available. It’s never too early to put it in your calendar! The Halloween camp for 4-17 year olds runs from Monday 29th October to Friday 2nd November 2018. 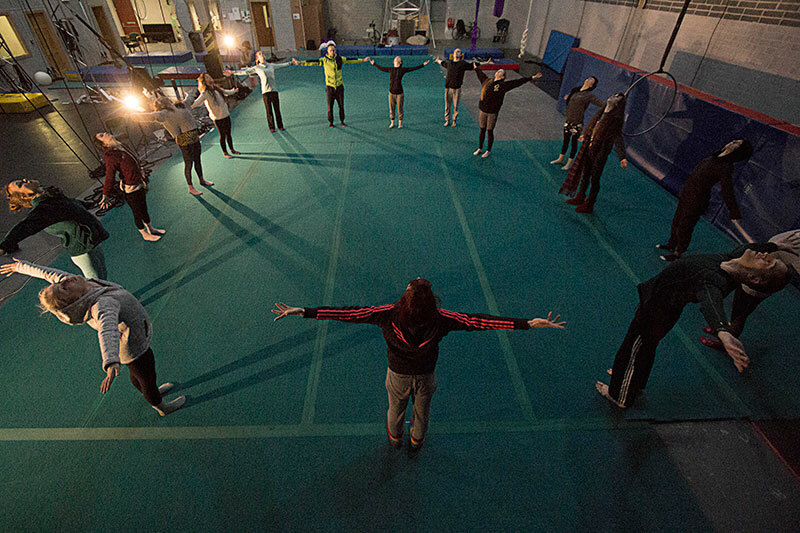 Our Adult intensives are run throughout the year to give people who are already taking our classes a chance to go deeper into an apparatus, or for people who haven’t tried aerial before but are particularly interested in that apparatus. We give workshops on hoop, fabric, trapeze and rope. One apparatus only will be done per intensive. Intensives can be 1.5-3 hours long. You can find our intensives in the ‘Special Events’ section of our booking page.